The Outsiders is the story of Charlie Cole and his grandson Pete Jarrett as they travel around Australia from place to place, job to job, and adventure to adventure. Charlie has been on the road for most of his life - ever since he migrated from Scotland in his youth. Charlie thinks Australia is too big a country to waste your life in one place. 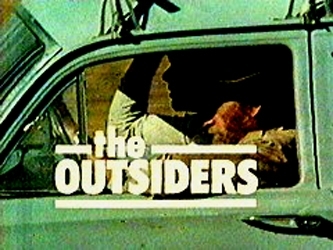 The show had 1 season and 13 episodes air between 1976 and 1977.